UW EE Professors Blake Hannaford and Eric Klavins have joined a community of innovators – The Amazon Catalyst Fellows. In a partnership with the University of Washington, Amazon Catalyst supports bold solutions to world problems. 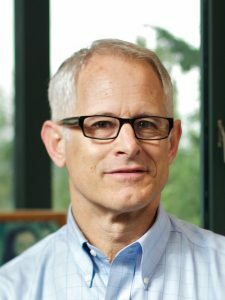 Professor Blake Hannaford and his team at the UW BioRobotics Lab received the fellowship for the development of an Intelligent Robotic Assistant. The robot will offer precise and responsive assistance with important tasks in the operating room. It will be trained to the exact preferences of each surgeon, reducing errors and variability in precise and potentially dangerous operations such as brain tumor removal. The technology will be derived from Amazon’s Alexa and similar responsive speech recognition devices, as well as learning-based artificial intelligence (AI) in the cloud. The learning-based AI will be used to analyze patterns in surgical outcomes from detailed logs of the operations. 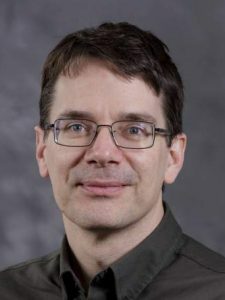 Professor Eric Klavins became a fellow for his UW BIOFAB Cloud Laboratory for Genetic Engineering (UW BIOFAB), which allows users to define experimental workflows algorithmically, attach upstream design tools and send data to downstream analysis software. This process solves the issue of losing important experimental workflow and training data. With lost data of this type, many experiments cannot be reproduced, extended or transferred because the knowledge of how to do them has not been recorded in detail; this is especially problematic with synthetic biology. UW BIOFAB offers a lab in the cloud service. The key innovation is the use of researchers to perform many of the steps in the workflows. It is based on Klavins’ software, Aquarium, which will run it. Both Hannaford’s and Klavins’ projects have the potential to improve existing world challenges. By developing a robotic assistant, with the aptitude for precision and exact replication, the medical field can increase surgical accuracy during procedures, further expand trainings for medical personnel and improve knowledge on the potential for adverse and successful outcomes. UW BIOFAB empowers confident research, maintaining important steps and data for accurate experimental replication and design. By eliminating missteps and errors in workflow, biologists’ experiments will be strengthened, increasing the potential for health treatments and therapies.